It was not uncommon for boys to lie about their age to enlist during the Second World War. Some would try to convince recruiting personnel that they were legally old enough at 17 to join up without parental consent; you could sign up at 16 if you had a parent agree. But a 12-year-old? That seems much too young, and yet Calvin Graham did exactly that. After the attack on Pearl Harbor in December 1941, Calvin, like many other Americans, felt the urgent need to join the military. Born in Canton, Texas in 1930, he was mature for his age and looked older than he really was. Photo of U.S. Navy Seaman First Class Calvin Graham. Before he enlisted in Houston, he practiced speaking with a deeper voice so that he sounded older, too. At the age of 11 he started shaving, hoping that it would help make him look older still. He had already left home as his father was abusive and there wasn’t a lot of room in their small home, with Calvin being one of seven children. So, with a sense of independence already ingrained in him, he forged his mother’s signature and went to the recruiting office with two other friends, aged 14 and 15. Dressed in his older brother’s clothes, it wasn’t the signature being discovered as a forgery that worried him. He was really concerned about the dentist who looked at potential recruits’ teeth. After telling his mother that he was going to visit relatives, he left school and went to San Diego for naval basic training. Again, Calvin believed that the military knew full well that he and others were underage, and instructors often made them run extra miles or carry heavier packs than the older recruits. The aircraft carrier Hornet under attack. 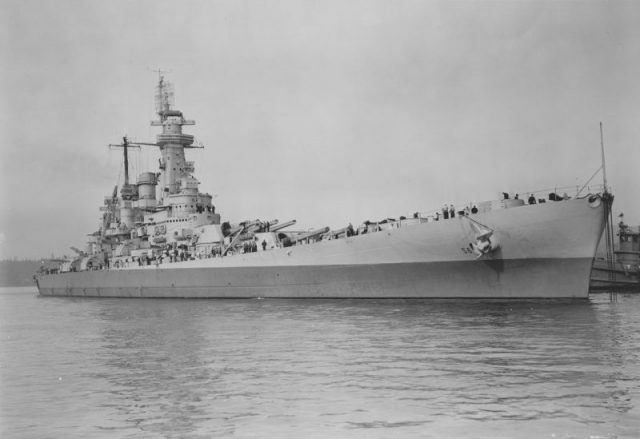 Calvin was assigned to the USS South Dakota as part of a larger task force in the Pacific, led by the USS Enterprise. 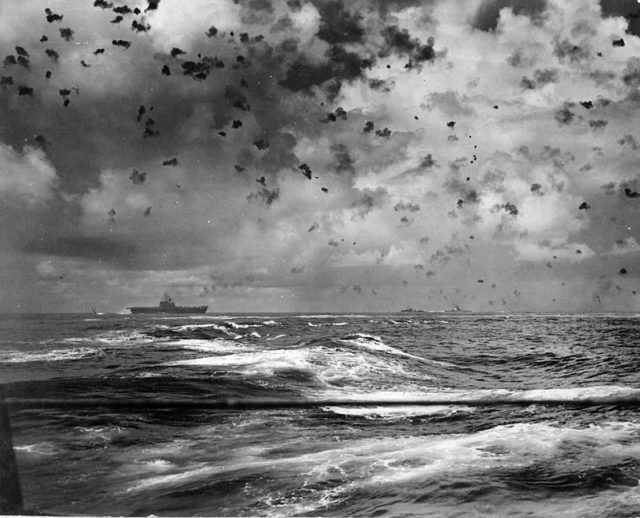 Shortly after Calvin embarked on the ship, the Japanese attacked the naval group in October 1942, penetrating the Enterprise’s air patrol. Another ship in the group, the USS Hornet was sunk. 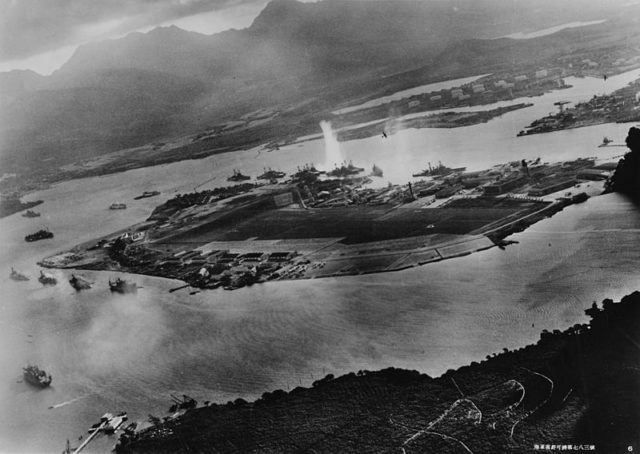 The crew of the South Dakota managed to destroy 26 enemy planes using its antiaircraft guns before returning to Pearl Harbor for repairs. 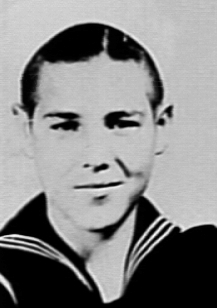 Calvin became a teenager on November 13th, the same day the Japanese began to shell the American airfield on Guadalcanal Island. The next day the South Dakota and Enterprise, this time with the USS Washington, engaged with the Japanese near Savo Island. The four American destroyers that were also with the group were sunk or badly damaged. 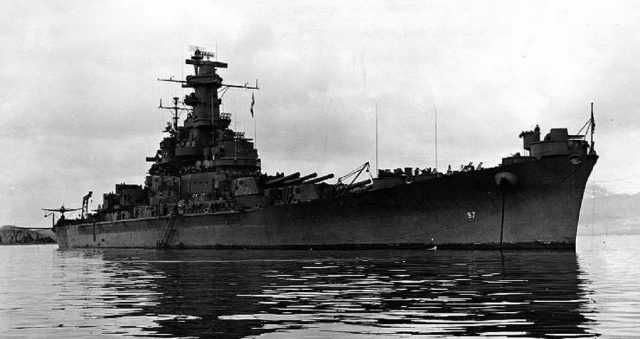 That evening, the South Dakota confronted eight Japanese destroyers, and, using its 16-inch guns, set three of them alight. The South Dakota took no fewer than 42 enemy hits that night; 38 crew were killed and another 60 wounded, including Calvin. While manning his gun, he was hit in the jaw by shrapnel. USS Washington anchored at the Puget Sound Navy Yard. The captain of the ship, Thomas Gatch, later said that although his crew was inexperienced, “Not one of the ship’s company flinched from his post or showed the least disaffection.” As the South Dakota disappeared into the smoke, the Japanese believed that this ship had been sunk, and the legend of Battleship X was born. Gatch’s crew was profiled in the news for their heroism, and Calvin Graham received the Bronze Star for his actions and the Purple Heart for his injuries. 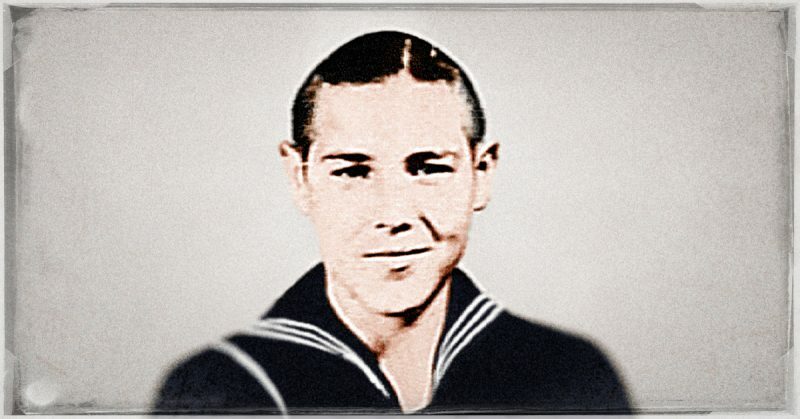 His mother, however, recognized her son in the newsreel footage and contacted the Navy, informing it just how old the young sailor really was. As a result, Calvin was sent to the brig at Corpus Christi, Texas, and his career in the Navy was over. His medals were revoked, as were his disability benefits. His sister, however, contacted the press and notified them that a “baby vet” was in prison. As a result of the negative press, Calvin was released after only three months, but without an honorable discharge. When he returned to Houston he was a hometown hero and treated as a bit of a celebrity. This quickly faded, however, and Calvin struggled. He tried to go back to school but was too far behind other kids his age to keep up. He married young – at only 14 years of age – became a father at 15, and divorced by 17. He sold magazine subscriptions to support himself. When President Jimmy Carter was elected in 1976, Calvin wrote to him about this wartime experience. He had heard about a discharge program for deserters and believed that he was just as entitled to an honorable discharge. In 1978 he received his wish, and his medals were re-awarded, except for the Purple Heart. He would not receive that honor until 1994, two years after he had died. Calvin Graham died in Forth Worth, Texas in 1992, having been the youngest U.S. serviceman to serve and fight during the Second World War.